Not mine but another broken belt from a 964 sent to Didi for rebuild. My mechanic asks me to send them as he's not really into IT. Incredible service last one was back in 3 days. Seems to be more common with 964s than 993s as some do not have the breather pipe. There may already be a problem as no 5 cylinder is not firing on the single dizzy. When I did the dizzy caps the belt looked fine but I will get it done this winter. If you have a 100k + motor it's something to consider doing. @ Endoman,....... everything ok, I can sign blind! But the breather pipe alone does not save the Dizzy, often the Bearings are rusted and without fat (~ 20 years old !!) An old, cracked Belt is tired and tears off or freak out !! 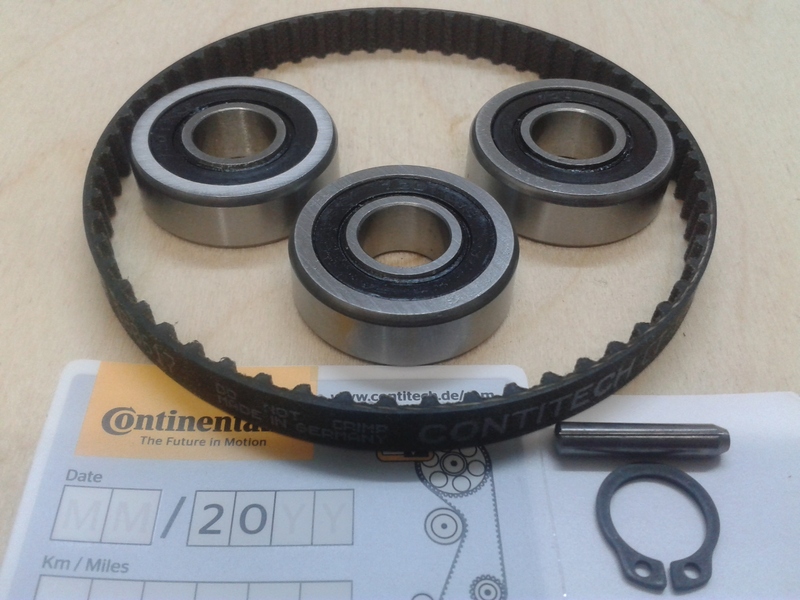 - CONTI specifies 7-8 years exactly as in the field of camshaft drive for other engines. 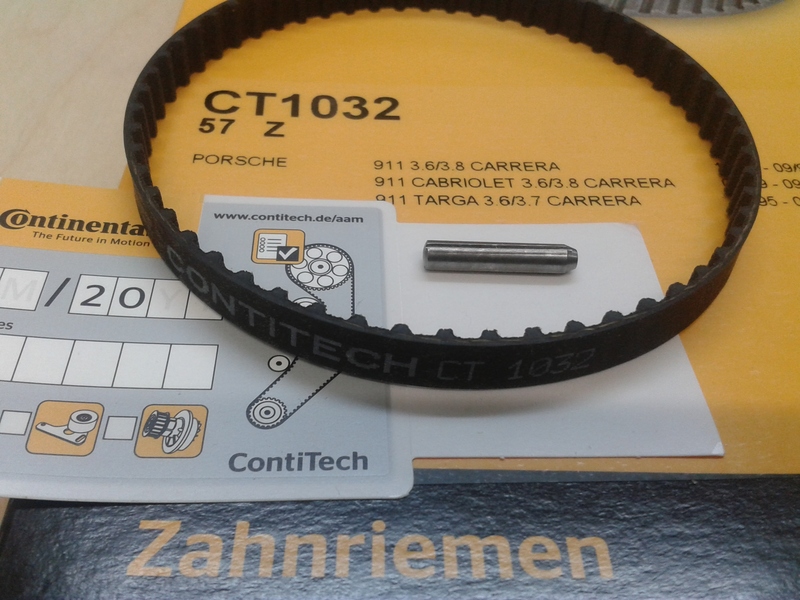 ........new belts CONTI CT-1032 production date 2018 arrived !! Hi Diddi, what do you charge for supplying the belt and doing the work ? A tip when reinserting the distributor. I used a paint pen to mark the rotor arm positions when I pulled the distributor. If you loose these as I did, presuming you set the engine at TDC with the rotors aligned with the pip on the housing. Remove the o-ring on the shaft (carefully) it will be tight to get it out otherwise. Trial fit and watch how the rotors move. Set the rotor center line 10.5 mm anti clockwise from the pip measured at the rim and you should be bob on. Refit the o-ring and ease the dizzy back in with a coating of oil on the o-ring and shaft. My previous post mentioned an outfit in Germany who sell everything including the one off size bearings.....FVD. Fvd are very good aber das kostet mehr als Diddi. Not sure that tranlates as I intended, Didddi is cheaper. Diddi also did a good job on my distributor rebuild. 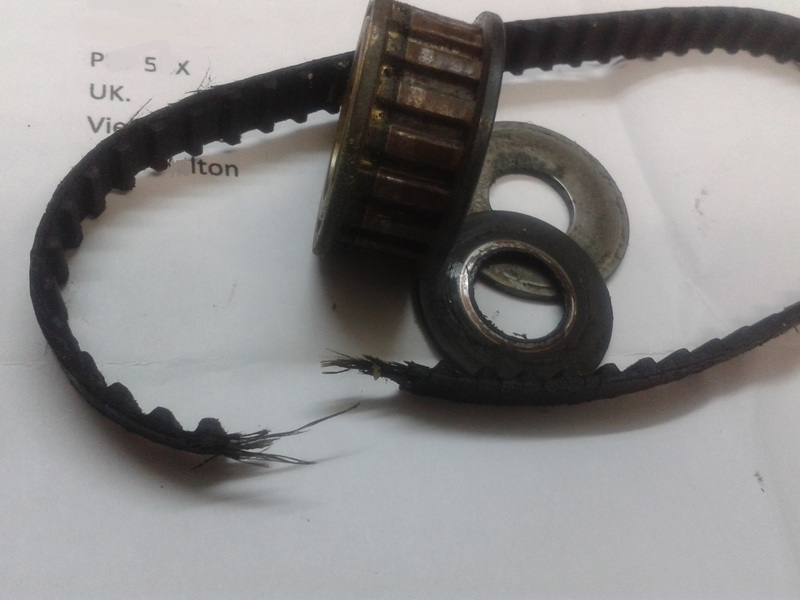 Whilst the belt wasn't broken, it was looking tired and the bearings were rusty and had very little grease left. Thanks Sutton, and you can drive more relaxed with revised Dizzy! I've just had my distributor rebuilt by Diddi, and can highly recommend the service he provides. The unit was sent last Thursday and it's been rebuilt and is back in the car and working this evening, so it's a quick turnaround. My unit had 110K miles on it and although it wasn't showing any obvious signs of wear when installed, I wanted to have it rebuilt as a piece of precautionary maintenance. The unit is certainly significantly smoother in action (rotating it by hand from the drive gear) than when it came out of the car, and everything about the rebuilt unit looks highly professional. I did this a few years ago and it indeed is a bit of a faff. 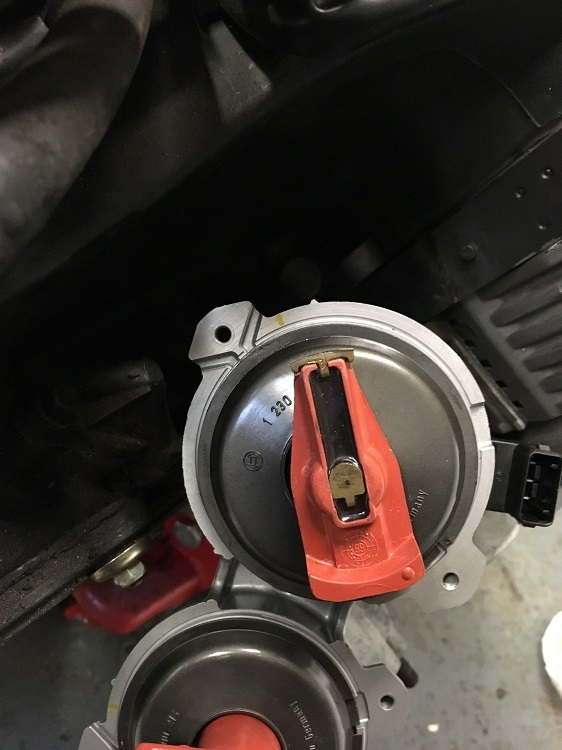 Its the seizing of the bearings that can do the proper damage, and if the breather pipe disconnects the ozone can shorten the belt life. It used to be that the correct sized bearings were unobtainable, I'm pleased to see that is no longer true. If you do have a snapped belt I would remove the secondary rotor arm to prevent any unlucky timing issues. A good upgrade is the cooling kit makes the belt last longer. That is so funny. It should say "RARE motorsport cooling". Last of. and the belt has to pull more but doesn't have a gym and just tears through or jumps over the teeth . Trev, Endoman, Sutton, Nick, Berni has done everything right good trip !